It's 1932 and 27-year-old Jessica is living London life to the full when her younger brother Tim, an ancient Egyptian archaeology expert, goes missing. Teaming up with Sir Montague Chamford - who can resist neither a damsel in distress nor the chance of adventure - Jessie vows to find her beloved brother. Following the clues Tim has left in his wake, Jessie and Monty head to Egypt. In the relentless heat of the desert, romance is kindled between them, but danger also lurks in every shadow. And then Jessie starts to wonder how much Monty really knows about her brother's disappearance . . .
After immensely enjoying Kate Furnivall's The Liberation and checking out her back catalogue, I added Shadows on the Nile to my wishlist, as I have a keen interest in Egyptian history. I recently popped into my local library and the breathtaking cover of Shadows on the Nile was shining in front of my eyes like the golden rays of the sun god Ra. So I put my feet up with a nice glass of wine and prepared to be whisked away to Egypt. With a dramatic, heart-wrenching first chapter, the story starts in 1912 with 7 year old Jessica being awoken by a noise in the night followed by a frightened squeal from her little brother. Waking up the next day, it's as if events of the previous night never happened and Jessica's life continues as normal. Fast forward to 1932 when Jessica's brother, Tim, goes missing after attending a séance. Jessica follows Tim's trail to the location of the séance and meets Sir Montague Chamford. Monty joins Jessie in her search for Tim and I was quite suspicious of his motivations - what is he hiding or what doesn't he want Jessie to find? Whereas we would hop on a plane, Jessie and Monty have an 80 hour journey across Europe to Cairo. 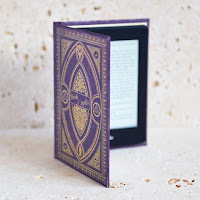 This is where Kate Furnivall excels in her writing: the sights, sounds, smells, heat and dust of Cairo are described in such exquisite detail that you feel as if you are there. I have been to Cairo before so my imagination does have a head start, but it really is exactly as Kate Furnivall describes it. The golden glint of Tutankhamun's death mask and the majesty of the pyramids are truly brought to life in Shadows of the Nile. Jessie's family history plays a massive part in the story, but I can't say too much without spoiling it for others. Suffice to say, Jessie's search for Tim leads to a confrontation with the past, a past that may have been buried but history has shown us that so many well buried secrets are unearthed in Egypt. 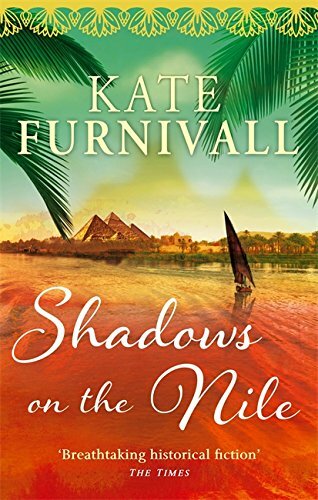 Another superbly atmospheric story from Kate Furnivall that swept me away to the Nile valley. Through her breathtakingly beautiful prose, Kate Furnivall paints a stunning and vivid picture of this incredible ancient country. This is historical fiction at its finest and I highly recommend Kate Furnivall's books. I borrowed this book from my local library and this is my honest and unbiased opinion.